The specimen measured 14 cm in length and showed bulging and distension of about 4 cm diameter near one of the surgical margins. 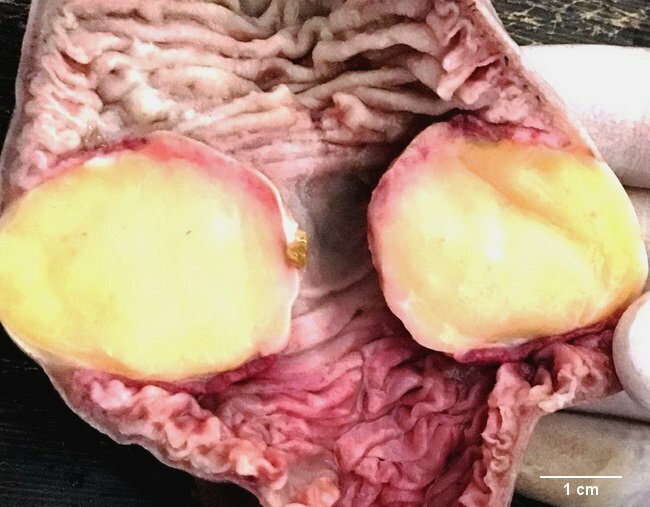 The bowel was opened longitudinally and showed a well-circumscribed sessile yellow tumor partially occluding the lumen. Microscopic examination confirmed it to be a lipoma. Intestinal lipoma presenting as intraluminal polyp is uncommon.